President Cyril Ramaphosa says that the private sector is lagging behind in comparison with the government. Ramaphosa responded to a question during a Twitter Q&A session on Monday evening, where he raised wide-ranging questions from young people – with some addressing him as Bra yaka, jargon for & # 39; my brother & # 39; and others using #HolaMatamela, what & # 39; hello Matamela & # 39; means (the president's middle name). A Twitter user asked Ramaphosa what his plans were to accelerate transformation in the workplace. "We have to admit that we have made enormous progress in the public sector in terms of transformation," Ramaphosa said. Promoting the transformation agenda was an important area of ​​attention for the government; however, the results were mixed, with the private sector often accused of not doing enough to promote integration into the workplace. "We will try to speed up the pace of transformation in the private sector through the laws we have already introduced," said Ramaphosa. The involvement of the social media is coming because Ramaphosa has traveled all over the country, has applied for votes before the general elections of 8 May. 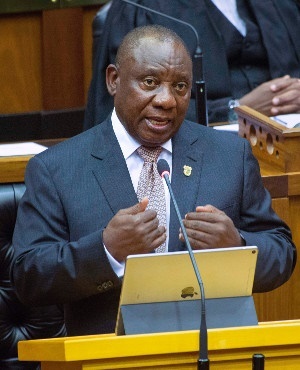 A user told Ramaphosa that he did not understand the purpose of the National Youth Development Agencu (NYDA) and Gauteng Enterprise Propeller (GEP), which are aimed at promoting the development of small businesses. Ramaphosa replied that the initiatives "perform miracles". "The NYDA is a structure that was demanded and demanded by young people, it has been set up and it works wonders for the young people it has been able to reach," Ramaphosa responded. "I would like to ask you to reach further, because when you end up in a corner, how do you get there?" Young people are the hardest hit by the country's high unemployment rate, which is set at 27.5%. The increased unemployment rate – that is, the figure that also includes those who have given up job search – is even higher.